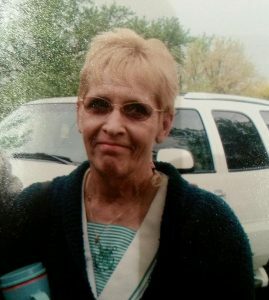 Linda Klawitter, 66 of Osmond, (formerly Rising City), died Thursday, December 15, 2016 at Faith Regional Health Services in Norfolk. Visitation 3:00 p.m. to 4:00 p.m.
Linda was born January 29, 1950 in Lincoln to Dean and Ann (Mayta) McCormack. She attended school in Columbus and graduated from Columbus High School in 1969. On September 5, 1970, Linda was united in marriage to James Klawitter in Columbus. Linda and Jim had lived in Rising City and Verdigree, and have lived in Osmond the last three years. Linda had managed Pizza Hut in David City for several years. She is survived by her husband James of Osmond, Daughters: Tracy (Corey) Roberts of Rising City, Jamie (Steve) Sporleder of Pierce. Four grandchildren: Austin and Alexis Sporleder, Jordan and Taylor Roberts. She was preceded in death by her parents, step-father Allen Anderson, Brothers Vernon and Gary McCormack.